After far too long since our last visit, my sister stopped by today for a cocktail and to head to dinner. We did a round of drinks to sample, including The Isis, a cocktail that is pretending to be a cider (you’ll see it posted later this week; stay tuned! ), and this random experiment. While a truly random experiment, this one was a huge hit with my sister, and we decided right then and there that this needed to get added to the blog. All of these ingredients were combined in a Collins glass heaped with ice, and then filled with bitter lemon and stirred gently. 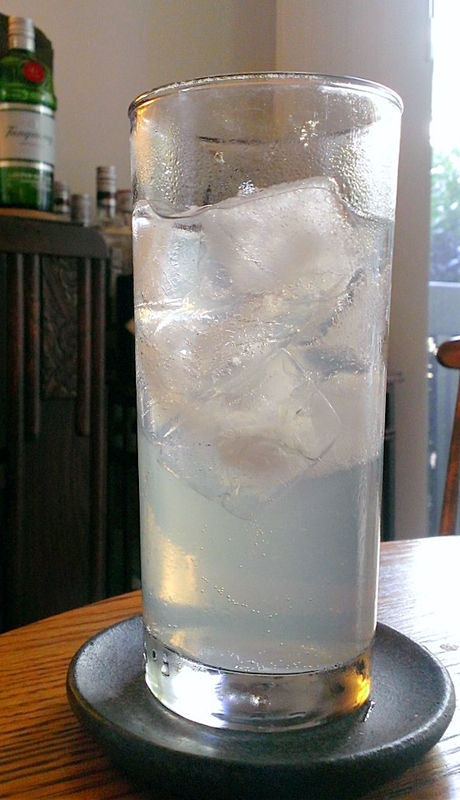 The result is a very light, very refreshing cooler, with the anise flavor shining through, and playing with the bitterness and quinine flavor of the bitter lemon. That right there is why my sister decided this needed to be named what it did. This is sure to be a summer staple here, and hopefully at your home too.